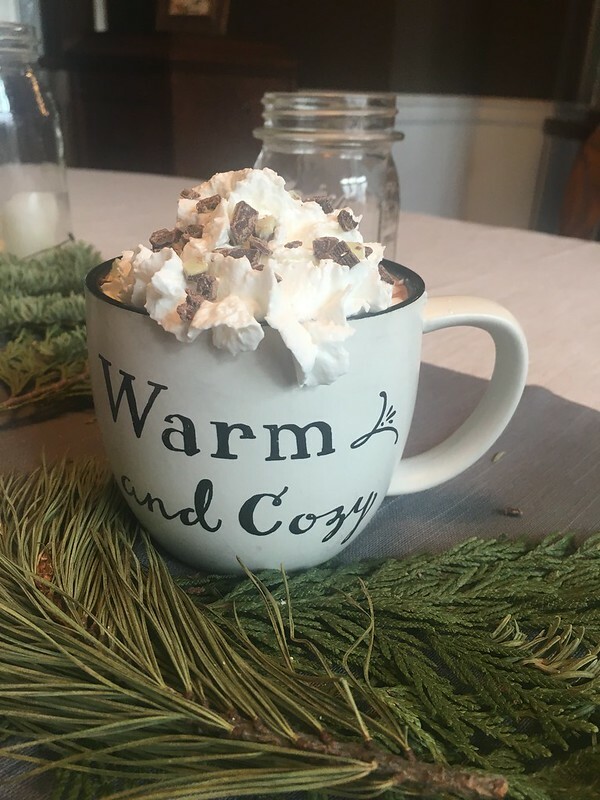 This past weekend the Midwest experienced an ice storm, and while it was nothing like they were expecting, it was still the perfect excuse to make some of my favorite homemade hot chocolate! 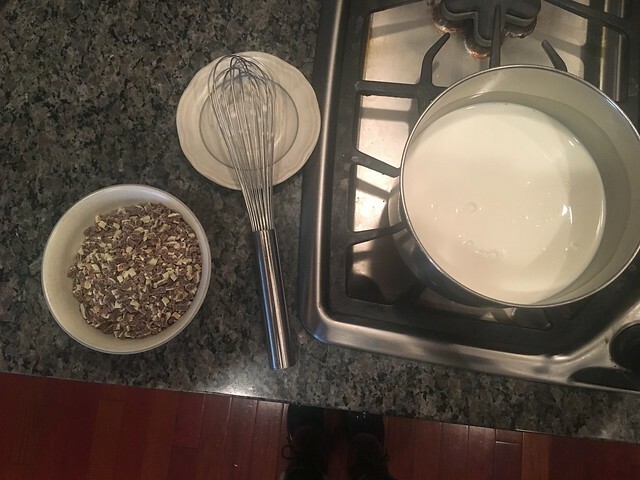 First you want to combine the whole milk, whipping cream and powder sugar into your saucepan and bring it to the point just before it boils. With my stove on medium heat this generally takes 5-8 minutes. When it reaches this point you are now ready to stir in the chopped Andes mints. 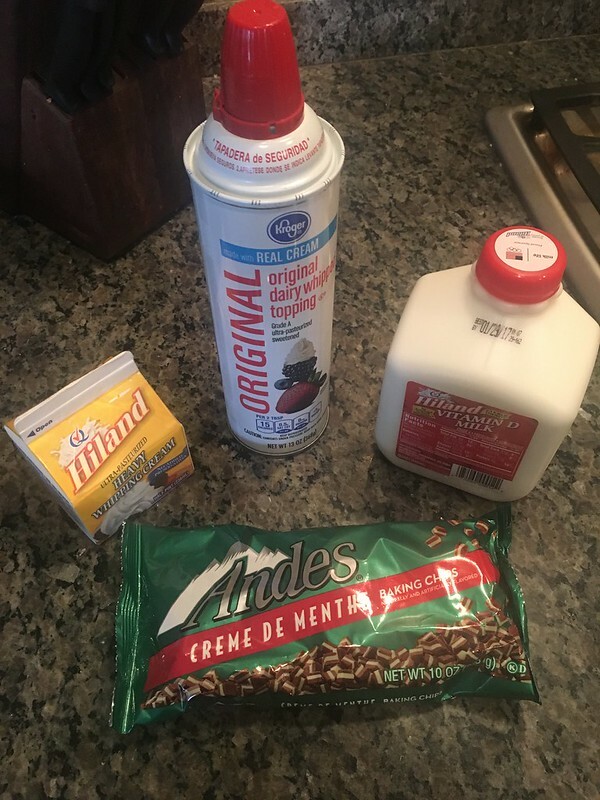 Once the Andes mints are melted into the milk your hot chocolate is ready to serve! 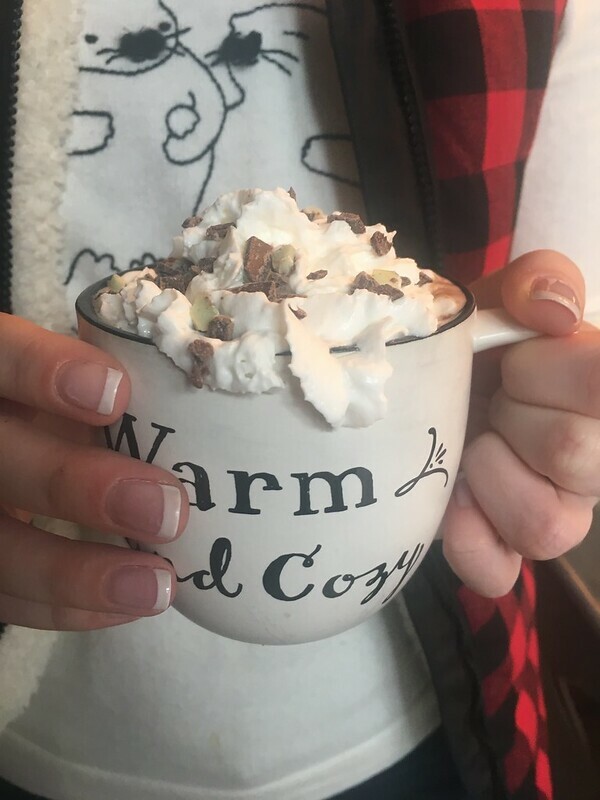 I like to pour mine into my favorite Warm and Cozy mug and add whipped cream on top and some chopped Andes mints to make it look pretty. 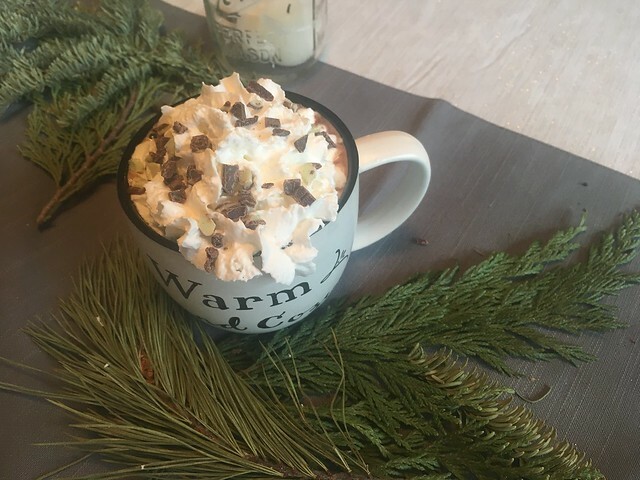 If you decide to try this hot chocolate, let me know how you like the recipe!